Refer your friends to Tamarack this Summer and receive $200 off your Tuition when they Enroll! VOTED BEST IN MORRIS COUNTY 5 YEARS RUNNING! Thanks to all of you, our Amazing families for your continued support and trust in us with your Amazing Campers! Refer a friend to Tamarack and they enroll you will receive a $200 referral discount off your tuition! CLICK HERE to view the Awesome camp videos from past Summers! Enrolled families can log in to our PARENT PORTAL to view the details of their account any time. Parents can submit payments and complete necessary forms through the portal. 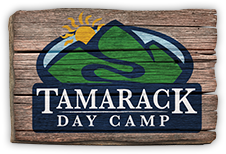 Don’t forget to check back throughout the summer for updates on everything Tamarack (including weekly pictures and videos, newsletters, and trip information for our Teen Travelers).